Principal Awards presented recently at the N.I. Shetland Pony Group Dinner, which was held at the Bannville Hotel, Banbridge, Co Down. Good evening & well attended. Since our Group show we have had a few events mostly social events. First in Dec 2015 we had the Christmas party, this was held in Tannaghmore gardens, with a visit to the museum and then games & food in the Pavillion hall, we ended our party with a visit from the big man in red, this visit was appreciated by the younger members ..
Our next event was our Annual awards night, we were lucky enough to have a good turnout with so many trophies and gifts to give out members .. The Group were ask this year to participate in a promotion at City Hall, Belfast, making people aware of Scotland as a holiday destination this included a variety of scottish items on show including shetland ponies provided by members, ponies that took part were Beltoy Stelsari, Loanin Helga & Ronelle Pollyanna..
Our next event will be our Group show on 3rd Sep 2016 @ which our Judge will be Mr D Mcarthur. The Committee of the Northern Ireland Shetland Pony Group, Wish to confirm that Mr Gordon Laverty has not been a member or had any association with the Group from 2013. The Group enjoyed another great outing on 31:5:15 to Castledillion Estate, by kind invitation of Mr Cecil Haffy, and very kindly organized by Tony & Mary Wheeler..With the most outstanding scenery and leisure activities, this is one of the most looked forward to events on the NISPG Calender.. This years activities included a zip line, trampoline, and loads more..Everyone enjoyed the Barbecue, and was a great opportunity to catch up with members old and new after a long winter.. The Northern Ireland Shetland Pony Group's AGM took place tonight at The Bridge Community Centre, Lisburn. It was a productive night, with lots of new ideas for the up & coming year.. Following on from the success of the Junior members 2012 ‘ Shetland Story Time’ a further competition ‘Shetland Tales’ is being held for 2013. Same format, a short story from the Juniors capturing their fun-times with a Shetland pony during 2013. The ‘tale’ may be accompanied by photographs/drawings etc. & emailed to Marietony@beltoy.freeserve.co.uk or posted to 31 Ballywillan Road, Larne, Co Antrim, BT40 3LQ,closing date Friday 3 January 2014. The winning ‘Shetland Tale’ will be announced & prizes presented at the NISPG Awards Evening & Dinner on Saturday 11 January 2014. Please encourage all the Juniors to get involved. Raffle tickets will be on sale..
Doagh Farm Feeds, 10 Ballyclare Road, Doagh, Ballyclare BT39 0PE. All NISPG members, friends & family welcome. Enjoy 10% discount on all items [excluding feed & shavings). It has been said that this years Performance Show "Was one of the best ever". There was so much laughter and fun had with the variety of classes..including clear round jumping, in hand jumping, Agility course, long reining, driving obstacles, and not forgetting the new class for this year "the fancy dress" with the high-light of the show being The puissence. The Group Show this year was held once again at Knockaghview EC, Greenisland. It was Judged by Mr Steve Rendall from The Shetland Isles. Most classes were well Supported, with the Lead rein being one of the largest classes of the day with 7 entrants...Photo's are posted on the Juniors page of lead rein, riddens & young handlers. A huge thank you goes to everyone who helped on the day: Judge Mr Steve Rendall, Photographer Mr Neil Mawhinney, Steward Miss Claire Walker, Secretary Mrs Marie Bell & the Paramedics, and anyone else who helped on the day..
For the first time in over 116 years, the Balmoral Show has packed its bags and moved to a new venue, Balmoral Park, Maze Long Kesh, Lisburn. The Shetland Parade attracted great crowds who cheered the parade on as the ponies were put through their paces. Tony Bell did the commentary on the history of the Shetland pony. Balmoral Show is one of the largest shows in the UK, and the Shetland pony owners were very honoured to be asked to take part in this event. N I Shetland Pony Group members were once again invited to the beautiful Castledillon Estate, by kind permission of Mr Cecil Haffey. The event was ran by Mary & Tony Wheeler. This event is looked forward to every year as a social get together, it allows members to get to know each other and is a day of relaxation for all. This Estate has so much to offer the group, they can walk around the estate and take in some of the most beautiful views, and on the way pass the wild garlic & bluebells and of course a variety of animals including deer, Walibies, Llama's, Alpaca's, Zoe sheep, Jacob sheep and not forgetting the cyldsdale Horse. A gator was available for trips around the Estate, which the juniors of the group made exccellent use of. There is great facilities for the Children with a well kitted out play area, and the Archery is always a great hit...Unfortunately the weather didn't allow the boat and canoes to go out this year, but it didn't stop the barbeque and banter had between everyone. This was a nice informal night with tea coffee and tray bakes provided throughout the night. N.I. Shetland Pony Group held its AGM in the Bridge Community Centre, We welcome new comittee members Mr Tony Bell, Mr Gordon Laverty, & Miss Michelle Cumberland, and thank outgoing committee member Mrs Jackie Bell. The N I Shetland Pony Group Awards Dinner took place on Saturday 19th January 2013 at Knockagh Lodge Hotel. The event was extremely well supported with 60+ Adults & juniors in attendance, members, along with family & friends enjoyed a beautifully served meal, and then the prize giving. It was lovely to see so many of the juniors all seated waiting to hear their names called. Another plus for the Shetlands this year is the new classes at Balmoral show, these will run on the wednesday and schedules should be available soon.. This year we had visitors from England, we hope Sue and her husband enjoyed the night. Lastly we would like to congratulate all the prize winners and hope everyone had an enjoyable night. Over the winter months we will be putting some competitions up for the juniors, the first of these will be up shortly on the juniors page, it is very kindly sponsered by Marie Bell and the prize will be handed out at the N.I. Shetland Pony Group Dinner and awards night to the best entry. 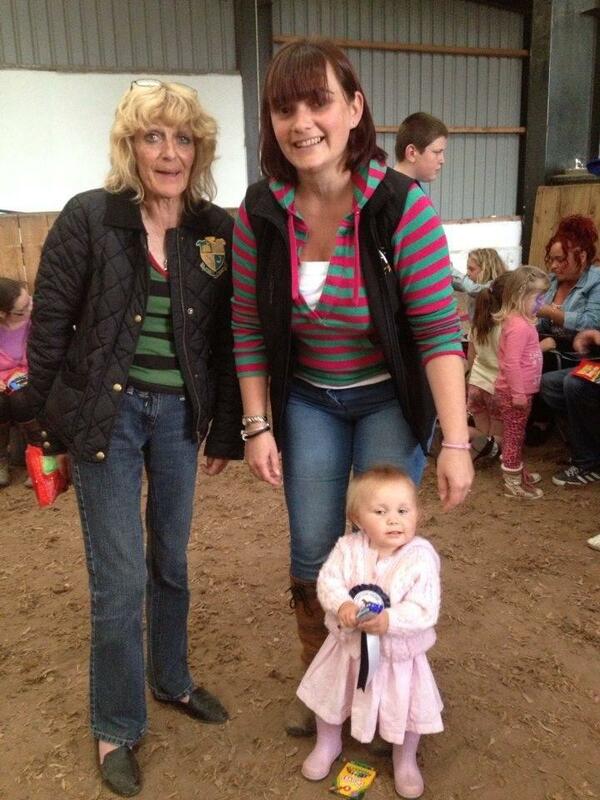 Our performance day was held at Knockagh Equestrian centre, Greenisland, by kind permission of Ruth Wilson. On the whole we had a fantastic day and it finished with the annual raffle a big thanks to all who donated prizes..
CCTT is set in the peoples park, Portadown. The show is all about Native breeds and as far as possible they will be shown in there own breed group. 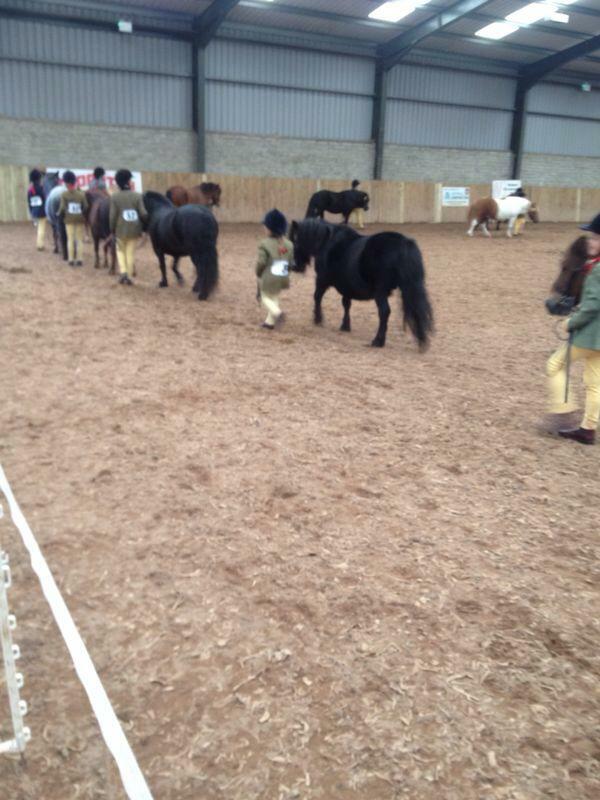 The shetland ponies had 6 classes, ridden, in hand and young handler. ending with a championship. It was a lovely relaxed atmosphere and the weather kept good.. The pictures will cost £5 for an 1 E-Photo or £20 for 5...We can also do printed versions at £7.50 each, all money raised will go into group funds. Photograghs will be available to view at the N.I. 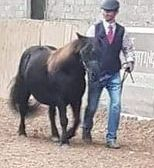 Shetland Pony Group Performance Day to be held on Saturday 13th October...After this date photos will be added to the website Gallery..
We had a very good Turnout of both members and non members and ponies..This year saw an increase in the ridden classes both lead rein and ridden. All other classes had good entries and the day ran very smoothly, all thanks has to go to the group Secretary for all her hard work. Thanks also to the ring steward Miss Claire Walker and the ring Photograper Mr Neil Mawhinney. Over the past few months we have had a noticable increase in the groups membership, we would like to welcome all the new members both adult and juniors and we hope they enjoy the events the group run, after all our group is all about having fun and encouraging all members to enjoy the shetland breed. The group show is fast approching and with added unaffiliated classes we are hoping for a good funfilled competive day...We hope to see you all there...Classes begin at 9am with affiliated classes being judged by Mr David Hodge and unaffiliated classes judge still to be confirmed. 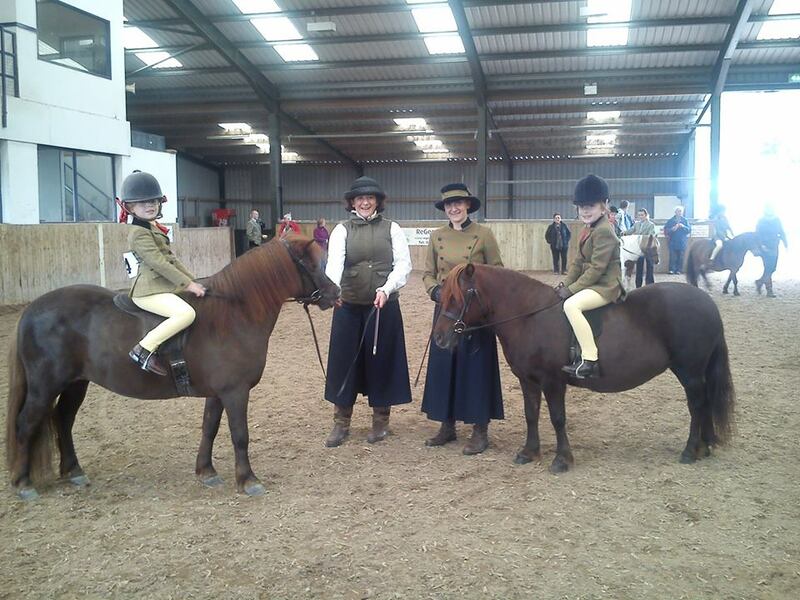 The IPS Championship's took place on sat 11th August, and ran a variety of classes which suited shetland ponies, some of the groups juniors competed and an enjoyable day was had by all. This is our only mid week show of the season, and the biggest turnout this year. The weather was fantastic and everyone was in jolly form...All classes were well supported with shetlands..With the mare class having 12 forward & the 2 & 3 year olds having 9 forward, the lead rein class and young handlers were the best entertainment of the day with big smiles on all the wee faces, Shetlands also took part in the M & M ridden classes. Londonderry/Limavady show went ahead despite the heavy rain in the days running up to the show. This show is now affiliated to the S.P.S.B.S and was judged this year by Mr K Adams. The show as ever had a very relaxed atmosphere. A very wet and dismal day to start of with, in no way put off the shetland folk..The gelding and Mare classes were very well supported once again..Well done to everyone. A very successful evening was had by the ladies of the group at our juniors fund raiser on Tuesday 12th June. A great selection of Fascinators, Scarfs, Jewellery and Handbags were on offer. Everyone enjoyed light refreshments and Sharon West (Pretty Pearls Lady) provided a talk and demonstration. The ladies were then able to browse the hundreds of items on offer and make purchases, the Fascinators and Scarfs proving very popular. A raffle was held as well. The amount raised will pay for the Juniors fun night that will be held at the start of July. After all the wet and windy weather in the past week it was a great relief to see a dry morning. Shetland pony owners turned out in force and it was lovely to see the M & M lead rein class with 4 of the 5 entries forward shetland ponies and a shetland taking first place & mini M & M champion. Armagh show pictures will be added to the photo Gallery and juniors page. We have recently added some new photograph albums, many of the photographs used were very kindly donated by Joanne Carson and Marc Wheeler among others...The groups thanks go out to Joanne & Marc. Ballymena was a great start to the Agriculture shows. The sun shone and crowds were out in force. The Shetlands had well supported classes with the Young handler the largest class of the day. The N.I Shetland Pony Group were invited by Tony & Mary Wheeler, By kind permission of the owner Cecil Haffey for an informal Get Together and Walk at Castledillon Private Estate. Castledillon Estate consists of 80 acres Forest/Paddocks and a 50 acre lake. The day was rounded up with everyone enjoying a BBQ. A brilliant day was had by all and the weather remained good throughout. A very big Thankyou to Tony & Mary for organising a great day out..
A reminder to all members: informal ‘Get Together & Walk’ at 'Castledillon' Drumilly Road, Armagh on Saturday 19 May 2012 at 11.00am. If any member has pictures of the awards dinner and would like them to be posted on the N.I.Shetland pony group website please forward a selection to the web site contact address...Thank you. Crosskennan has in their care, 5 shetland ponies that have been very badly treated, they are feeling much better now and they were wondering if anyone would be able to help place them in either temp or perm homes? A very big well done to all the shetlands and owners, both adult and junior who took part in cavan this year. The line up was very impressive. 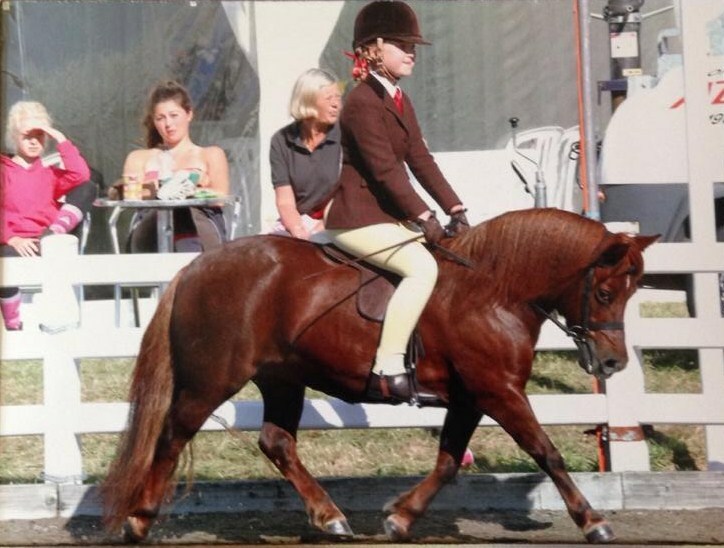 As the 2012 Breed Show organiser I was wondering if your Group would be interested in either sponsoring a class or a stable, sending a donation or perhaps sponsoring a ring at the Breed Show in Bakewell, Derbyshire, on September 9th. The cost of putting on the show has risen by about an average of 20% since I was last involved in helping at a Breed Show in 2006. Without financial help from the Groups and the members generally it would be almost impossible to put on an annual Breed Show. Please bring this letter to the attention of your members in the hope that the Group will decide to support the 2012 Breed Show. Your contribution will be most welcome. To sponsor a class-£20; to sponsor a stable- £25; to sponsor a ring-£250; a donation may be any amount you feel able to give. Class and ring Sponsors will have their name in the catalogue at the appropriate place and, if you decide to sponsor a stable, on the stable door as well. Ring sponsors will also have their name on the back of the catologue & it will be given out over the public address. They will also receive a champayne carvery lunch for two. Ring Sponsors may also like to put up a banner at the ringside. However, please contact me before you order your banner. If you decide to send a donation your name will also go into the catalogue. Leonie J Sellars, Show organiser. Several members of the N.I.S.P.G. went along to the forest ride hosted by A LITTLE HORSE TRUST, we had an enjoyable day of mostly sunshine and we even managed the first picnic of the year..
Members of the group attended an open evening at Doagh Farm Feeds, Ballyclare Road,Doagh last night. It was a very relaxed, informal atmosphere with the chance to get some great bargains in preparation for the show season. Many thanks to Trevor McClelland for his hospitality. The N.I. Shetland Pony Group Chairman & Committee extends sincere thanks and appreciation to everyone who contributed to the success of the Show. Thanks to NAF for sponsoring the Championships and to members & exhibitors for their generous donations. Special thanks to SPSBS panel judge Mr Tony Jones, Isla Mona Stud, Wales and to Mrs Audrey Jones for her help & support in the Secretary’s Office, steward Claire Walker and finally the ‘Arena Team’ of Todd Cumberland & Josh Walker who worked tirelessly throughout the day. Full show results are available on the NISPG Group Show page.